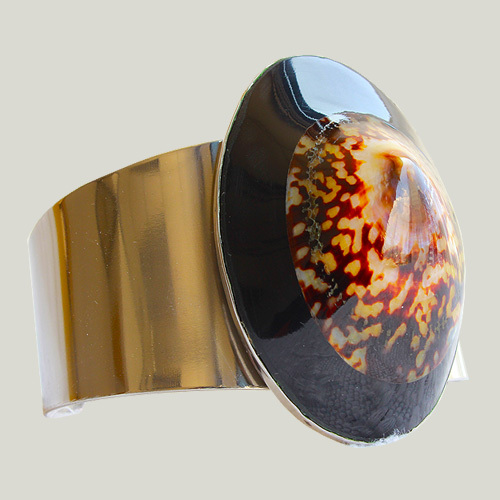 This Vegan metal cuff is made from seashell of the 'limpit' variety overlaid on metal. 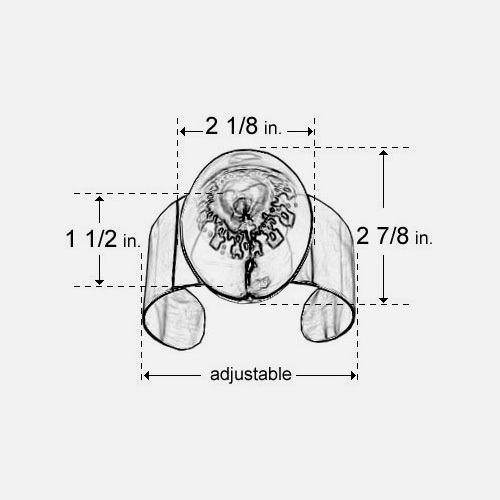 Its adjustable circumference allows you to wear it on the wrist or near the elbow. 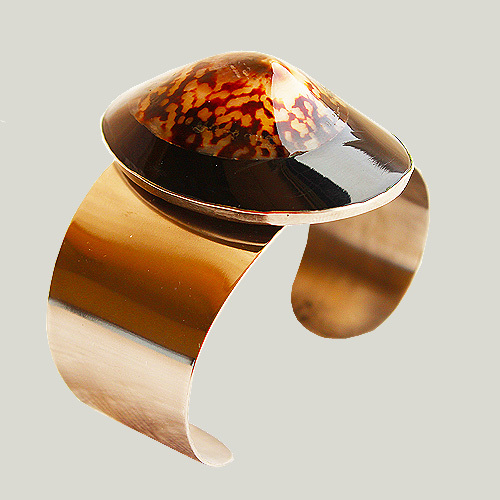 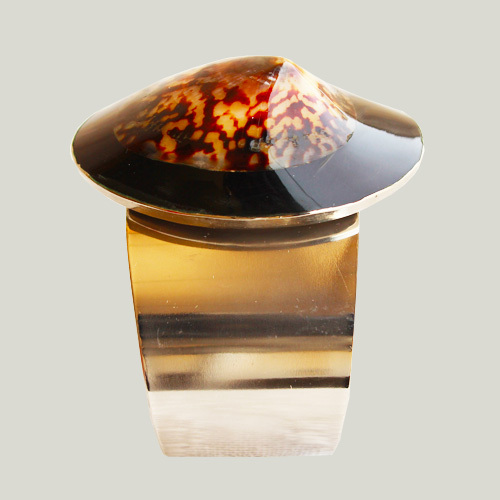 This natural shell design mimics a blackhole and exudes rocker chic. 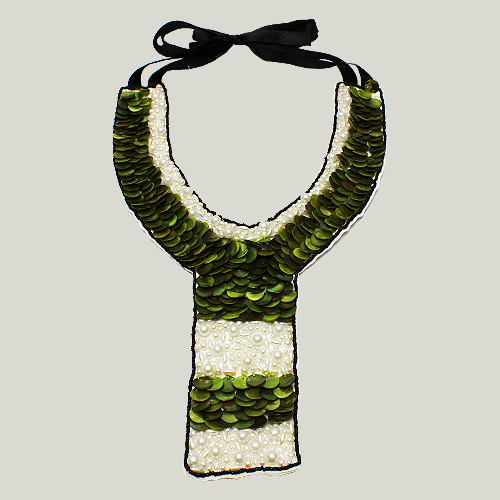 Go Green Certified.